MOSCOW, July 15. (ITAR-TASS). The first of three long aircraft IL-96 family of new generation (of cargo IL-96-400T) arrived today with the aircraft plant in Voronezh on the airfield-based airline's "flight" in Ulyanovsk. This was the first airline in Russia operator of cargo aircraft of this type. "This aircraft is the latest modification of the aircraft IL-96 family has a long fuselage, new engines PS-90A1, and the latest flight-navigation complex of Russia, enabling the aircraft to operate without restrictions throughout the world - said the head of information service flight Leonid Shirobokov. - The aircraft is capable of carrying up to 92 tons of cargo. " Plane acquired "flight" through a leasing company Ilyushin Finance Co ". According to Shirobokova, this year the airline plans to get all three existing aircraft. There is also an option for the delivery of two more machines of this type in 2010. Already received a certificate for the maintenance of IL-96-400T, a flight and technical staff. "Ahead of the collective development of the airline market of regular cargo transportation within Russia and beyond its borders", - stressed the representative of "flight". IL-96 is a great aircraft. I have flown on them many times. Getting modern avionics and engines is just the facelift it needs. Russian airliners fall out of the sky every week. I am sure the Iranians are real happy after the Tupolov crash which killed hundreds. Turk1 wrote: Russian airliners fall out of the sky every week. I am sure the Iranians are real happy after the Tupolov crash which killed hundreds. It isn't our fault they don't maintain their planes and fly long past their recommended hours. That it now flies a nearly all-Western fleet pleases passengers — but not, apparently, the Russian government. This month in a public meeting, Prime Minister Vladimir V. Putin sharply criticized Aeroflot’s chief executive for not buying more Russian-made jets. Mr. Savelyev replied that Aeroflot was buying 30 Russian-made jets, and would inherit a good many more when a planned merger with a half-dozen regional carriers was completed this year. Mr. Putin spoke during an apparently stage-managed meeting, broadcast on state television. But there was nothing artificial about the message, delivered just two weeks before the jet industry’s largest international trade show opened Monday at Farnborough, near London: Russian airlines will be under pressure to buy Russian jets. Aeroflot declined to comment for this article on its purchasing policies or on Mr. Putin’s discussion with Mr. Savelyev. For a decade, Russian airlines have been steady customers of foreign aircraft makers. Aeroflot’s fleet consists mainly of Airbus A320s and A330s and Boeing 767s. And the airline has orders for an additional 44 Boeings and Airbuses, even as the Russian authorities are trying to salvage the country’s civilian jet makers — Tupolev, Ilyushin, Antonov and Yak. Experts say that Russian airplanes are well constructed. Poor maintenance and repair records, however, earned them a bad reputation for safety after the Soviet Union collapsed. And, as any passenger can attest, they are more noisy and cramped than their Western rivals. Last year, Aeroflot sold to smaller Russian airlines its Tupolev jets, the workhorse passenger aircraft of the former East Bloc. Now, only six of about 110 jets in its fleet are Russian made. Those planes, Ilyushin Il-96s, which carry about 260 passengers, fly within Russia and to a few select foreign destinations, including Havana and Hanoi. Meanwhile, Aeroflot for the first time this year won recognition for the best business-class service on long-haul flights among the seven European airlines in the SkyTeam alliance, beating out the likes of Air France in pampering rich travelers, according to a SkyTeam customer survey. The Russian government merged the aircraft manufacturing industry into a single company, United Aircraft Corporation, or U.A.C., in 2006, bringing back under one roof the design and manufacturing functions that had become separated during privatization. Yet the company has few offerings for large carriers like Aeroflot. Russia has three passenger jet models flying commercially and still in production, with another expected to become available at the end of the year and a medium-haul plane on the drawing board. The Tu-204, a 180-passenger upgrade in the Tupolev family of passenger planes, costs vastly more to maintain than, for example, similarly sized Boeing 767s operated by Aeroflot. Russia is also manufacturing an aircraft, the An-148 regional jet, based on a Ukrainian design. 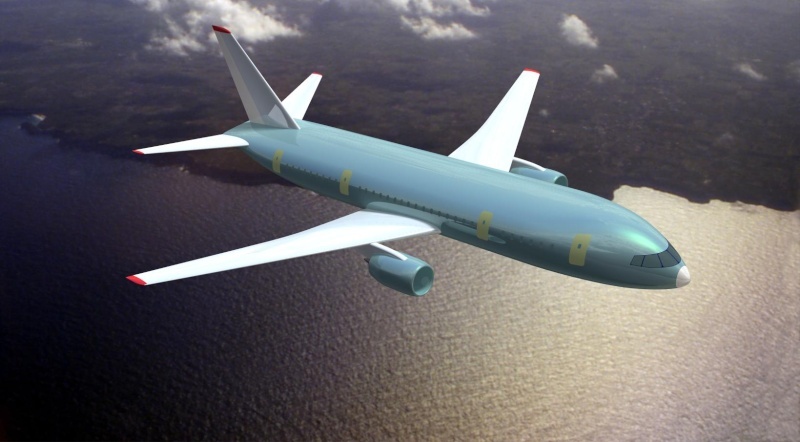 The 75-seat aircraft, with its wing mounted above the fuselage, is a niche product — a passenger jet designed to fly from poorly surfaced airfields. It is certified to fly in Russia, but not in Europe or the United States. Ilyushin is still technically producing long-haul, wide-body Il-96s, though none are on order by a civilian airline. Owning more Il-96 would poorly suit Aeroflot because the plane does not comply with European Union noise regulations. The civilian aircraft arm of Sukhoi, the aerospace company best known for its fighter jets, is working with the Italian aerospace giant Finmeccanica on the first major new commercial aviation project since the end of the Soviet Union, the Sukhoi Superjet, a regional aircraft. Aeroflot has ordered 30 of the jets, which seat about 100 passengers, for short-hop flights. Eighteen are in various stages of production, and four test planes are flying. Listed at $31.7 million, it is comparably priced to the Brazilian Embraer ERJ190 and more than $20 million cheaper than the Canadian Bombardier CRJ1000, both of which are about the same size as the Superjet. Sukhoi says it has, in total, 101 firm orders and expects an additional 30 to be signed at the Farnborough International Airshow, where one of the prototype aircraft will fly, said Olga Kayukova, a spokeswoman. The first three production planes will be delivered this year. The most recent Russian civilian aircraft project, a 150-seat airliner that would compete with the Airbus A320 family, is the first to reflect the Russian industry’s reorganization and is planned to enter serial production in 2015. It bears the working designation of MS-21, a Russian abbreviation for airliner for the 21st century, rather than the brand of any of the existing Russian aircraft companies. Even robust sales in Russia, however, would hardly justify the tremendous cost of designing and developing a new aircraft. At its peak, the Soviet industry produced 250 passenger jetliners a year; now it produces a few dozen at best. For production to be ramped up, Mr. Syssoev said, the airplanes would at least have to attract customers like Aeroflot to have a hope of finding success elsewhere. UAC needs to talk to Aeroflot and it needs to start making planes that Aeroflot and other customers in the market want. They need to work together and UAC needs to make planes for their customers instead of just making planes and expecting customers to use them. GarryB wrote: UAC needs to talk to Aeroflot and it needs to start making planes that Aeroflot and other customers in the market want. The whole point of SSJ-100 was to build an aircraft airlines want. Now it is getting beat down by the An-148 and its longer brother the 158. The government could have shut down the 148 if it wanted but no, they let it steal our orders. The government does need to take more steps to protect the industry, but it also needs to make planes that are as comfortable as a Boeing or Airbus. Hopefully the MS-21 will do something to change that. Shouldn't just be new aircraft, existing aircraft should be upgraded too. And also cleared to operate in places airlines want to operate them. The communication required to modify existing types can be applied to new aircraft designs too. A good series of video on Aeroflot soon after the fall of SU. More Details have emerged on this project "Frigate Ecojet"
I flew Aeroflot after the fall of CCCP from St. Pete to Moskva, it wasn't nearly that bad on the major routes. The non-profitable backwater routes didn't get the funding. Today, many of the aircraft are Airbus and Boeing which are nice to fly on but still many of the backwaters still use old Soviet planes. The major airports are up-to-date, but the little ones still are not there. More funding for airport safety and SSJs are required to get them up to international standards. Vlad , which aircraft have you flown with Aeroflot ? I was looking at the video of Aeroflow and they do a very steep angle landing at high speed is that common ? Also I want to know why dont Russian Airliners like Aeroflot dont buy Russian Aircraft like Tu-204SM , SSJ and MS-21 in bigger numbers rather then invest in Western ones like Boeing and Airbus. Pilots Andrei Lamanov and Yevgeny Novoselov were awarded the title of Hero of the Russian Federation for their courage and heroism in an emergency situation. The other seven crew members were awarded the Order of Courage. The passenger Tu-154 aircraft with 72 passengers and nine crew members on board was flying from Yakutia to Moscow on September 7, 2010 when its electricity supply, navigation equipment and radio communications failed at an altitude of more than 10 kilometres and so it was forced to make an emergency landing at a military airfield in Izhma, Komi Republic (Northwestern Federal District), not designed to handle large aircraft and in recent years used to serve helicopters only. No one was injured during the landing and the plane received only slight damage. I flew in the Tu-154 and Il-96 as far as Soviet planes (outside of VDV). Most of the flights now are Boeing and Airbus. The pilots that land like that are ex-military, it depends on who is flying and where you are landing. They haven't had many options for modern aircraft in the past. Nothing up to today has met efficiency and safety standards. As the new regional airliners prove themselves, they will be bought in larger numbers, but even then they are competing with Antonova designs. We spend all this money on domestic civil aviation yet we set ourselves up to fail... makes no sense. Vladimir79 wrote: I flew in the Tu-154 and Il-96 as far as Soviet planes (outside of VDV). Most of the flights now are Boeing and Airbus. The pilots that land like that are ex-military, it depends on who is flying and where you are landing. Vlad , any interesting experience to share while flying the Tu-154 and IL-96 ? Why do ex-military pilots land their planes in such speed angle , even Indian AF operates the IL-76 havent seen them landing that way , any advantage in landing aircraft at such steep angle ? AFAIK both the Tu-204/214 and IL-96 are quite competitive and meet the safety standards , unless you think other wise , can you tell me why do they not meet those standards ? Well, they are loud so it was hard to sleep. Try watching the in-flight movie and the power went out in the cabin flying from Moskva to Vladivostok. That was a boring flight. Two emergency landings out of 8 flights. 154s are prone to turbulence as they lack fly-by-wire. Service on the domestic routes are pretty bad but when you have a route to Europe, everything gets 10X better. Two landings felt like I was going to die with the pilot coming in too steep. PS-90A is not certified to operate in the EU, so no one wants it. Maybe once it gets PS-90A2 it will be more desirable. If it is too loud, it can't operate in populated areas. They are trained to land on as short a strip as possible, do it to hone their skills I guess. It can be quite terrifying from the passenger perspective. None of those aircraft are cleared to operate in Western countries. Engines are too loud, lacks latest ILS, engine reliability issues. The safety checklist can go on all day. The frames are good, but the guts are obsolete. It takes the French and Italians partnering up with SSJ to make an international friendly aircraft. Vlad , It is not true that Tu-204 and IL-96 are not qualified to land , the newer IL-96-300/400 and Tu-204 and new 204SM meets ICAO 4 standards and noise requirement and can land at any airports including Europe. Infact all the aircraft be it military the modernised IL-476 and AN-124-150 are being qualified to meet the newer standards and can land at any airport in the world. Most certainly the Superjet and MS-21 will meet or exceed these standards from ground up. Austin wrote: Vlad , It is not true that Tu-204 and IL-96 are not qualified to land , the newer IL-96-300/400 and Tu-204 and new 204SM meets ICAO 4 standards and noise requirement and can land at any airports including Europe. It is true, they don't meet EASA safety certification. Without that you can't land in the EU. Only aircraft to gain it is Tu-204 with the Rolls Royce engines. Russian engines do not meet EASA standards. The SSJ and An-148 are being outfitted with SaM146 engines made in a JV with France. MS-21 is to be powered by Pratt and Whitney. The military cargo planes are not EASA certified and won't be unless new engines are made. That is why UAC is trying so hard to get a European partner for the Ruslan. Once our aircraft receive EASA certs, it won't be hard to sell them to domestic or foreign airlines. It is the lack of certification that is killing sales. 3 ) The Superjet meets all requirenment and is powered by SAM146 engine , the AN-148 is meant for regional CIS transport and does not need SAM146 engine to meet global standard. 4 Aeroflot and other Russian airlines have done little to support Russian aircraft considering lately good aircraft are available is competitive and meets all global standards , Putin had a reason to be upset on Aeroflot chief. Iran Air its original customer has decided to drop deal of around 30 odd aircraft after US sanction prevents from selling PS-90A2 engine which has PW components. The only hope for Tu-204SM is now a proposed 44 aircraft for Red Air Wings and Syrian Air. A few years of using PW parts and they will be able to make all their own parts soon enough.